… between hiking and bushwhacking, like me, I can tell you: now I know. I spent the major part of the morning finding may way to Kilburn Mountain, part of the Sentinel range. There are no marked trail to get there. Bushwhacking is defined as the practice of hiking off the trail using navigation to guide your way. Understanding of navigation is essential to a fun and safe time exploring between contour lines. Needless to say, there are a few dangers including getting lost, thick undergrowth, injured body parts, eye injuries, and extended time for rescue and location if something were to happen. This type of Adirondack hiking has become a much more interesting and admired past-time. The Adirondack 100 highest has become a popular venture as well, where a large majority of the peaks are truly trail less. That being said, I didn’t let the pressures of trying something new and exciting, glaze over common sense. I checked all existing maps, prepared a game plan, and emergency plan, and told my wife where I was going and presumably for how long. Going to Kilburn is bushwhacking from start to finish. There is no trail to lead you, only a brook here to follow close by, another one flowing south to cross before attacking the last slope. Very steep. My route led me below the ridge, and out of the normal thick travel. To my delight, the ridge has an open spruce canopy. The scattered blow down mixed in was a bit of a hassle, but not terrible. As I neared the top, I noticed a herd path going to the summit. And then the views: Whiteface and the other Sentinel peaks. On my way back, I followed the wrong brook, eventually realized that I was out of my way (if only 30 minutes too late). I had to get back to my earlier tracks before heading West to the right spot. When I got back to the car, I was relieved: I had concluded my first bushwhacking experience and had not faced major problems. I am ready for the next. Have you ever participated in a real war? I had not. But now it’s done. Last Sunday, was Wings War VI in Lake Placid. Wing Wars is an annual fundraiser for North Country Life Flight, the region’s air medical rescue team based at the Adirondack Regional Airport in Lake Clear. This year’s event raised $4,547, and more than 300 people attended. In the heat of the Wing Wars battle were several establishments that had not yet won the competition: Generations, Price Chopper, The Cottage Cafe, Delta Blue and Redneck Bistro. 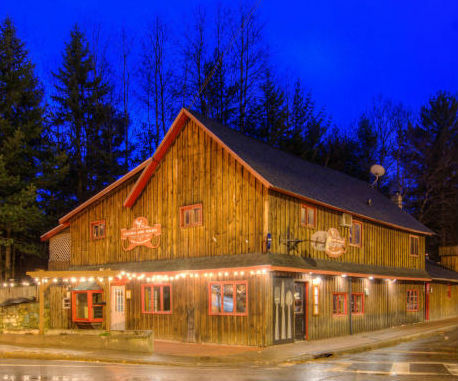 Then there were the past Wing War winners: defending 2012 champion Dancing Bears Restaurant at High Peaks Resort; 2008, 2009 and 2011 Wing Wars champ Wiseguys; and 2010 Wing Wars champ Kanu Restaurant at Whiteface Lodge. The eight establishments each brought 500 wings to be judged by the crowd and a panel of local celebrity judges. For a $12 admission fee, it was an all-you-can-eat experience – as long as the wings lasted. We had a lot of fun. I ate probably a few too many. But, that was for a good cause (at least, that’s going to be my excuse ;-)). All of us voted for Wiseguys but, this year, the winner was Generations Restaurant at the Golden Arrow Resort. 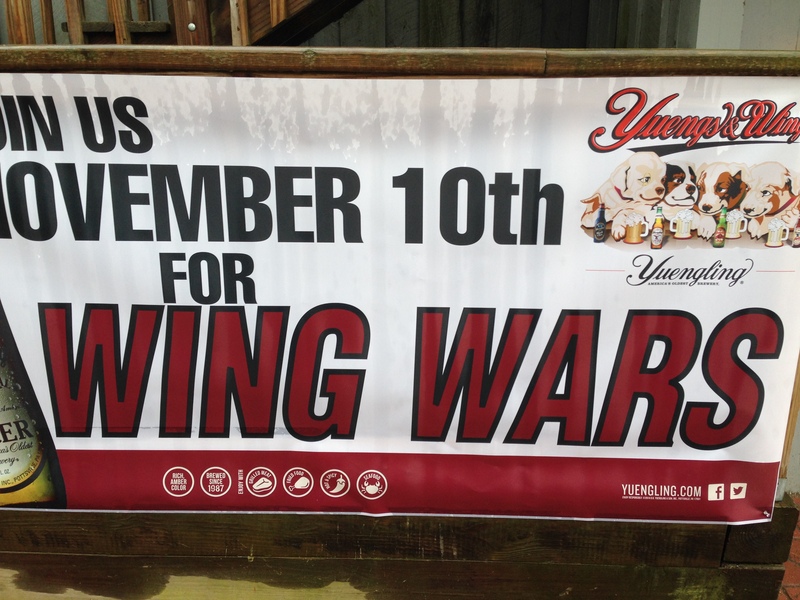 This was Chef David Hunt’s first year at Wing Wars, and he made quite an impression. 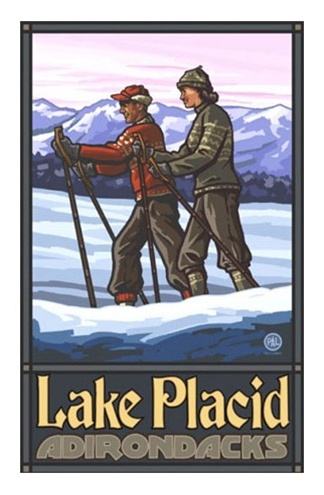 Obviously, this is not anything to compare to the Adirondack 46ers, but I like the marketing idea of putting together another “mountain club”. We’ve already hiked Haystack and Ampersand, so McKenzie seemed to be the most logical next choice. It’s the highest peak of the 6ers, visible from many locations in Saranac Lake, and easily recognizable due to its 2-peak shape. The hike is pretty easy at the start, under the forest, and becomes very steep at the very end (the last 45mn can be difficult, especially with 3 inches of snow making the last climb quite slippery). 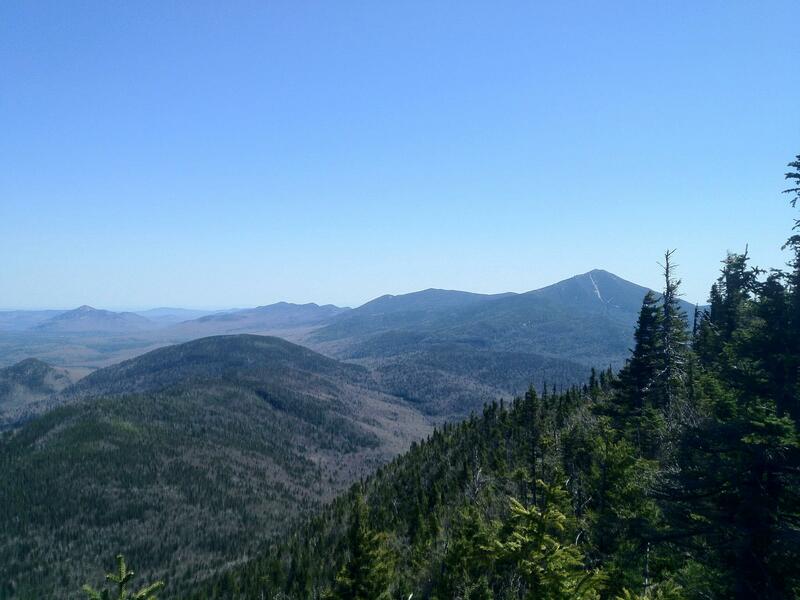 Views from the top are widespread, from Whiteface Mountain to the north to Mount Marcy to the south. A ledge to the west of the trail offers views of the village of Saranac Lake while another one on the east does the same for the village of Lake Placid. It was an enjoyable experience, on a less traveled path. We’ve been quiet on our post, but very active overall. Spent the summer with kids and friends, enjoying the various hikes, bicycle rides around Whiteface, and swimming in beautiful Mirror Lake. And we’ve had lots of renters, throughout summer, September and October. These past few weeks, we’ve started enhancements to our “Lazy Bear”. First, by adding a majestuous staircase connecting our screened patio to the outdoor patio. This will become handy next summer by creating a straight connection from our kitchen to the patio where we have dinner most of the time. And we’ve also started re-painting the main rooms as the mono-color themes were not to our liking. Plenty of new photos will appear on this site as soon as we’re done. And we’ll soon be adding new posters onto our walls.